(UPDATE) A magnitude 5.9 quake has struck off the coast of Sultan Kudarat Monday afternoon, data from the Philippine Institute of Volcanology and Seismology showed. The earthquake occurred 2:49 p.m. Monday with the epicenter located 67 kilometers northwest of Palimbang, Sultan Kudarat. 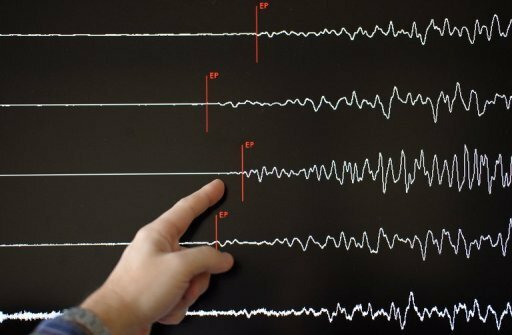 The tectonic earthquake was felt in Cotabato City (intensity 4); Datu Unsay and Datu Hoffer in Maguindanao (intensity 3); and Zamboanga City, Kidapawan City as well as Isulan in Sultan Kudarat (intensity 2). No damages are expected from the quake, Phivolcs said, even as it warned of aftershocks. The earthquake follows a 7.6-magnitude which shook islands in Visayas and some parts of Luzon Friday night, with its epicenter located southeast of Guiuan, Eastern Samar. Meanwhile, state seismologist Erlinton Olavere said in a phone interview that 393 aftershocks have been recorded after the Eastern Samar quake as of 12 noon Monday, the strongest being magnitude 6.8 shocking east of Surigao del Norte. Phivolcs, however, noted that the Visayas and Mindanao shocks are not related.